Home Cameroon MS IT solutions Web Desigining web hosting Web Hosting Cameroon : Go Beyond Web Hosting with MS IT Solutions. Web Hosting Cameroon : Go Beyond Web Hosting with MS IT Solutions. Getting a website today up and running is very easy , thanks to the the web technology brought to you by thousands of web hosting companies around the world. Making the right choice to host your website in Cameroon has never been easy. This is because we look at the cheapest hosting service forgetting about other factors like, support,security, additional services just to name but few. Choosing the right web hosting company for your business,blog or company in Cameroon is vital for the success of your business in the digital world of today. So far we have recommended Hostgator to a good number of companies in Cameroon which is not made in Cameroon product. We will be discovering a web hosting company that offer special packages for Cameroonians. That is you can buy your hosting in CFA using local methods of payment such as MTN Mobile money and Express union. Credit cards and Paypal are still accepted. What is the best web hosting Company in Cameroon? Why is MS IT Solution the best Hosting Company in Cameroon? The company provide web hosting solutions for the generation of today called '' Cloud Hosting'' as oppose to the other companies that offer the traditional hosting services which always results in a number of problems including load speed. You can Visit MS IT Solutions now to buy cheap and secure web hosting in Cameroon to get your website up and running or proceed to know more about the. Let us Discover More About this company offering cloud hosting solutions for businesses and individuals in Cameroon. MS IT Solutions is a web hosting company that offer special webhosting solutions in Cameroon and the UK. The company offers Web hosting services with free domain names in Cameroon, SSL certificates, web designing and word press services. This and other services can be discovered on the official website of the company. What is the Reason to Choose this Company to host my website in Cameroon? I have uncountable reasons to tell you, but permit me make it short and easy for you in four points. 1. The company is created to suit the needs of Cameroon(Design for Cameroon). 3. 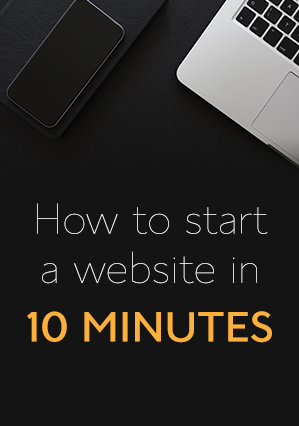 Everything you need to get a professional website up and running can be gotten here. 4. It offers cloud hosting services which are design for the generation of the future which is now. When searching for a web hosting company in Cameroon, you really want to get the company that offers you all the websites tools that can help your website grow. Is MS IT Solutions one of such? If you feel my 4 reasons are not enough, we can proceed to Check out what we found . MS IT solutions offers one of the cheapest Shared Hosting for Starters at the best rates. This feature is very good for newbies and websites with an initial low traffic. It is a good place to start before upgrading as your business grow. This package comes with 25 GB space, unlimited band width and a cpanel at the cost of 4.9 pounds ($6) monthly. This means with just about 30,000 XAF you can get a website up and running in less than no time in Cameroon.This seem amazing. Hey , don't go away. This package comes with powerful incentives to keep you in the web game. v. More than 400 scripts available with one click installation from softaculous. What about the Non Techies? Free installation of Word press and Joomla. Popular tools such as Word press, Joomla,Magneto,bbPress, OS Ticket and more are available for you to get started with , permitting you to start a website with no coding knowledge. There is also a Free Website Builder on MS IT Solutions which includes over 100+ templates and images. If your have a website that if growing then, you need to consider switching to a Virtual private server. MS IT Solutions offers 6 Main VPS services starting at 29.99 GBP up to 79.99 GBP. You can check more specifications for this package below. If you consider making money hosting websites, then MS IT Solutions is a company to look up to. This service permits you to sell directly to your clients , create web hosting packages and enjoy the profits as you wish. This package is suitable for web designers, software developers and companies. The re seller hosting service comes in two main packages The Alpha Reseller (£15.99/month) with 25 GB Space and the Master Reseller (£34.99/month) with unlimited disk space.It comes with great features like free domain name, unlimited band width and more. With hard work you can make more than 24 00 pound monthly with an investment of 4.99 pounds. Eventhough you might find some attractive web hosting offers on other websites, consider making the choice to enjoy professional services design specially for Cameroon and Cameroonians. One of the frustrations that comes after purchasing a hosting plan is how to design the website. We found out that you can get this service(Web designing) as a client of MS IT Solutions at the best rates. The company is thus more than a web hosting company and thus , making the decision to buy hosting here , means going beyond web hosting, thanks to the various services offered by the company.